Welcome! 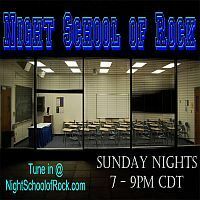 This is the place where you'll find the latest broadcasts of Night School of Rock & The Saturday Afternoon Matinee. YOU ROCK!